We’ve made great progress clearing our warehouse for new product and we are now down to 560,000 pounds to go. That breaks down to just under 800 remnants and just over 500 full slabs of granite, marble, and quartz. With those numbers, we can definitely outfit your kitchen, bath, or other home project with a beautiful stone. Visit our Redford facility today and have one of our skilled project managers turn your dreams into reality. Granite is made from natural stone which means each slab is unique and beautiful. Granite surfaces are very durable and capable of lasting a very long time. Quartz is a manufactured stone that is engineered to look like natural rock. Quartz can provide a custom and unique look when granite colors are limited. Marble is also made from natural stone giving each slab a unique and beautiful look. Marble comes in a variety of colors and options, the patterns are endless. I would strongly recommend Great Lakes Granite & Marble. Their selection of granite that you get to browse for at their facility is excellent. Their service to the customer is top-notch. We’re a dog-friendly business and all dogs are welcome. Only the best craftsmanship, safety, and business practices. We received the Angie's List Super Service Award in 2013. This award honors excellence among service and health providers who maintain superior service ratings. Only the top 5% businesses in each category receive this award. Conscious of the environmental impact any manufacturing process can have, Great Lakes Granite and Marble has taken numerous steps to be as environmentally conscious as possible. Great Lakes Granite and Marble has worked in the residential stone sector since 1989. We have, over the years, made it a practice to buy as much material as is practical from overseas quarries. This practice allows us to eliminate one or two middlemen.  We have long standing relationships with suppliers in India, Brazil, Spain, China, US, Italy, Madagascar, Norway, Finland, Alaska, S. Africa and Zimbabwe. We have on hand approximately 1700 slabs at all times and an overabundance of remnants. Our 18,000 square foot fabrication facility contains 2 bridge saws, a dual table waterjet, 4 CNC machines, 3 automated edging machines and a slab table polisher with honing and leathering capabilities. In addition, there are numberous hand fabrication stations where our skilled artisans work to perfect the details of every project. Need tile or natural stone for your business or other commercial application? Our sister company Booms Stone can help you with all your commercial needs. Pick the perfect stone for you dream kitchen! Our kitchen design tool is a smarter way to remodel your kitchen. With minimal time you can design a beautiful kitchen and submit that design to our project team for a quote. Great Lakes Granite & Marble will ensure your countertop will be exactly what you ordered. Your kitchen is the hub of your home. It’s not just a place to cook and prepare food, it’s for eating with family, entertaining guests, and storing your gadgets. Browse photos of kitchen countertop designs and discover creative kitchen layouts, as well as cabinets, countertops, appliances and islands for your kitchen remodel. Check out one of our latest countertop projects. Great Lakes Granite & Marble is one of the best in the industry.